New buyers purchased 985,000 homes in the first six months of 2018, the highest such activity since 2005. First-time homebuyers accounted for 2.1 million home sales in 2017, higher than the historical annual average of 1.8 million. Given rising mortgage rates, first-time buyers who entered the market in June 2018 paid 67 percent more for a home than they would have five-and-a-half years ago. Though first-time homebuyers face multiple challenges in today’s housing market — including rising interest rates, strong appreciation, and critically low inventory levels — that group was busier than it has been in 13 years in the first half of this year. 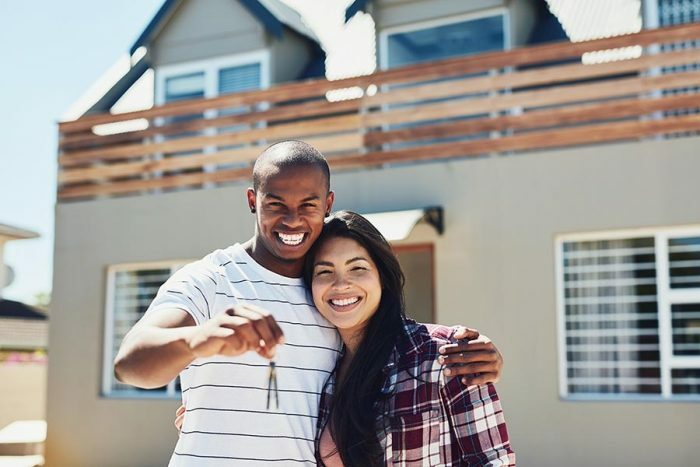 That’s according to a report from Genworth Mortgage Insurance, in which company Chief Economist Tian Liu said that first-time buyers purchased 572,000 U.S. single-family homes in the second quarter, up 1 percent year over year to account for 36 percent of transactions. And while that increase might seem insignificant, first-time home buyers were responsible for 985,000 home purchases in the first six months of this year, the highest such activity since 2005. First-time homebuyer activity is now slightly above its historical average of 35 percent but quite a bit shy of the 46 percent peak recorded in the mid-1990s. In 2017, new buyers scooped up 2.1 million homes, breaking out of the cyclical depression to move above the historical annual average of 1.8 million. That buyer pool is getting a boost from the nation’s thriving economy, with the unemployment rate for 25-to-44-year-olds at 3.5 percent in the second quarter, the lowest in more than 17 years. A shortage of homes for sale — particularly those priced at the lower end of the market between $150,000 and $300,000 — continues to prevent more first-time buyers from getting in the game. The nation’s inventory crunch helped push up home prices by 6.5 percent in the second quarter on an annual basis, putting a dent in affordability for potential new buyers. Further hindering affordability for first-time buyers is the impact of rising mortgage rates. That segment of the market took out 30-year mortgages that averaged 4.77 percent in the second quarter, meaning that first-timers paid an average of 12.6 percent more each month than they would have at the same time in 2017. A longer view presents an even more telling picture of the effect of higher rates, with June 2018 first-time buyers spending a staggering 67 percent more than they would have in January 2013. Despite the Bay Area’s well-documented housing affordability issues, first-time buyer activity in the region appears to be in line with the national average. In a February analysis of Pacific Union transaction data, company Chief Economist Selma Hepp found that buyers age 35 and under were responsible for about one-third of transactions in Alameda and San Francisco counties and Silicon Valley over the preceding six months. While Liu calls the uptick in first-time homebuyer activity “remarkable” given difficult market conditions, he notes that such buyers have historically depended on obtaining mortgages with less than the conventional 20 percent down payment. In the second quarter, new homebuyers took out two-thirds of low down-payment loans. “When policymakers, lenders, and housing advocates discuss ways of increasing homeownership, down payment affordability should be an important consideration,” he wrote.